We are hours away from the kick off of the UEFA Euro Cup final 2016, which will be watched by billions worldwide. Football, known aptly as the \'beautiful game\', has been entertaining us for ages while touching upon chords of politics and diplomacy in society. However, Indians millennials relate more with the stardom of foreign players - we don their club jerseys with pride, buy their posters too. The only reason being the steady downfall of Indian football through the last three decades that has ensured we don\'t have any legends of the game. There are no true icons who\'ve consistently made their impact and given Indian football a great trajectory. But, did we not have legends at all? Did India ever perform well internationally? The answer, to both these questions, is a resounding yes. India had a player who got an offer to train with the English Premier League giant Tottenham Hotspur in the early 1960s. King George VI had asked someone to roll up the player\'s pant to see if his leg was made of steel. His name? 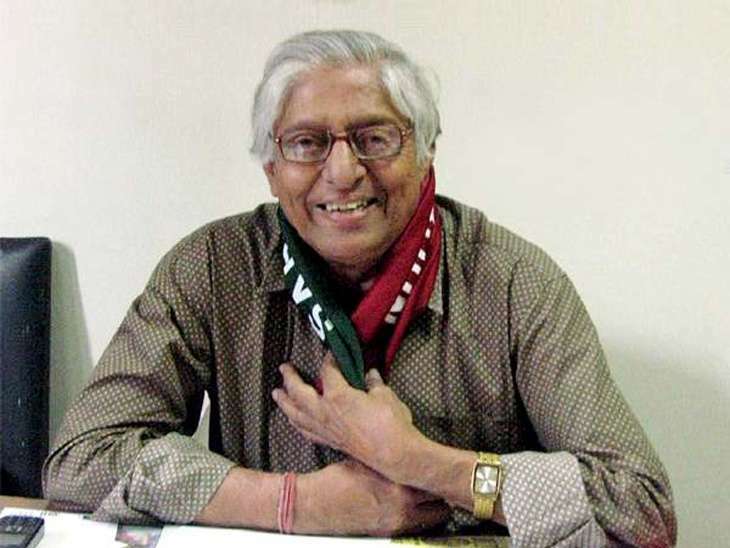 Chuni Goswami. In fact, we had won the 1962 Asian Games and finished fourth in the 1956 Melbourne Olympics. We even defeated Asian giants Iran, South Korea and drew with France in contests between 1950-60. Born in 1885 in British India, Samad was known as 'Jadukar Samad' (magician in Bengali). Was selected for the national team in 1924 and became captain in 1926. 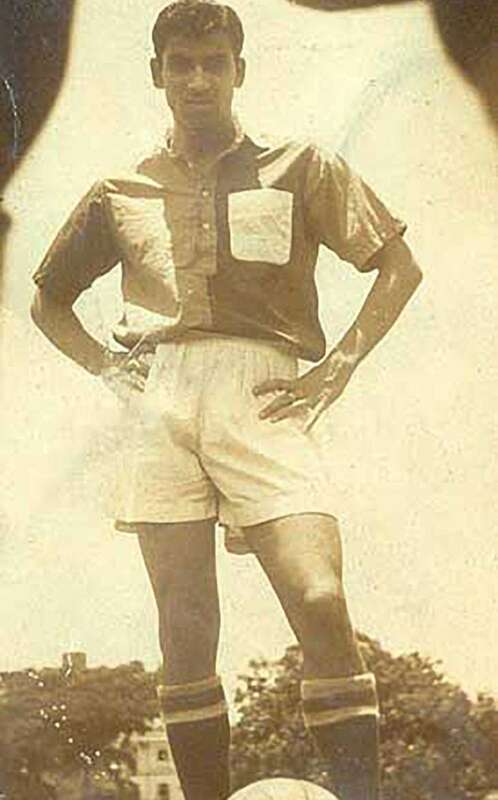 In a match against China in 1927, where India was trailing 3-0 at half-time, Samad came on in the second half as a substitute after promising the coach that he will score four goals. India finally won the match 4-3, with Samad scoring all the four goals. In another match against Indonesia three shots of Samad were denied by the goal post and he failed to score a single goal. He claimed the height and distance of the goal post was not accurate. Remarkably, his claim was found out to be true. 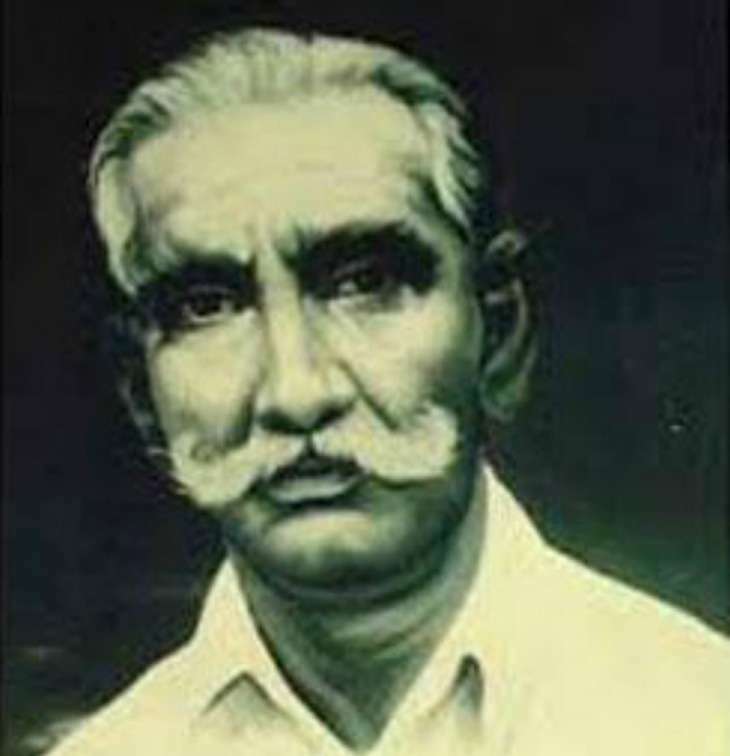 Born in 1896 in Faridpur, Bangladesh and passed away in 1976. He was known as the 'Great Wall of China' because of his exceptional skills as a defender. He was appointed as captain of India in 1924 and played with distinction till 1935. 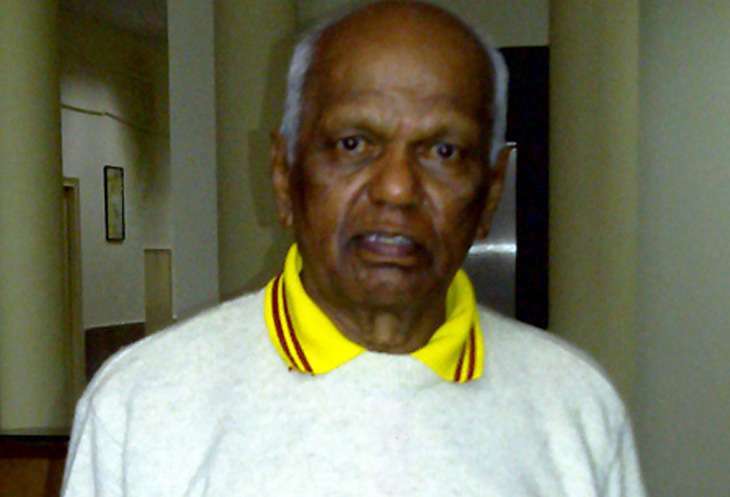 He was also the first Indian footballer to be awarded Padma Shree in the year 1962. Rabindranath Tagore had once invited the entire Mohun Bagan team at Shantiniketan. Though the bard had little knowledge of the game he said "So you are Gostho Pal! The man they call the Great Wall of China", when he met Pal. Pal also deeply felt for the Independence movement. He was possibly the first sportsperson to perform satyagraha, swadeshi and boycott on the field when these movements were raging across India. "He would often refuse to co-operate with referee's wrong decisions during a match. Finally, in a match against Calcutta Cricket and Football Club (an exclusive club for the British) the official would stop the game whenever a Mohun Bagan player got into opponent box. Gostha Pal led his team to lie down on the field and refused to play the game anymore. This incident brought a lot of publicity but it also ended Gostha Pal's career." Not many know that Gostho played both cricket and football with distinction for Mohun Bagan. In 1928 in a match against Calcutta Cricket Club Pal played in dhoti. 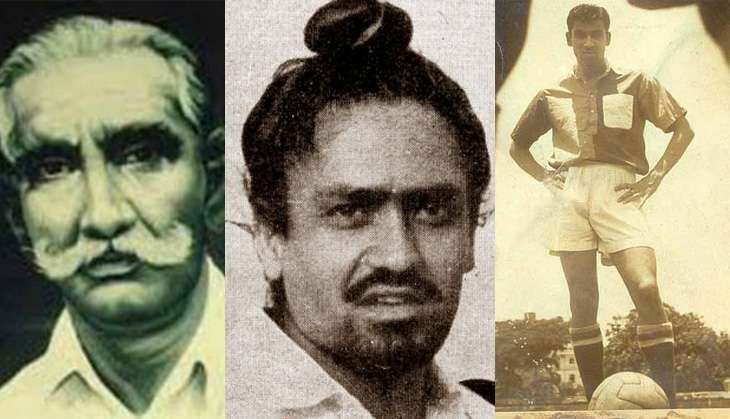 When Gostho picked two wickets in four balls, Calcutta Cricket Club lodged a protest that dhoti was 'native clothing' and not proper cricketing attire. If Gostho was to continue playing he must wear a trouser, they said. Gostho and Mohun Bagan refused and the match was stopped. Born in 1924 in Howrah, West Bengal and passed away in 2012. 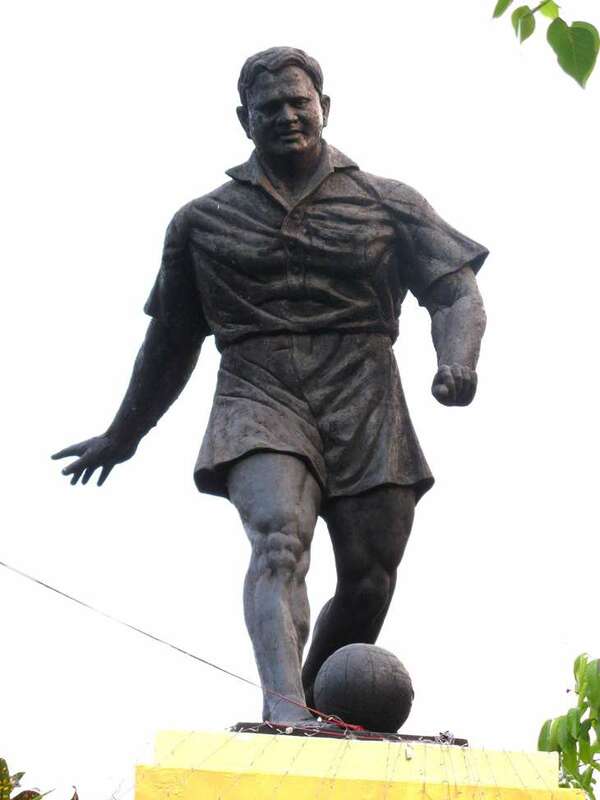 His cremation was attended by about 2,000 people and is possibly the only Indian footballer whose obituary was published by The Economist, the century old London-based weekly publication. 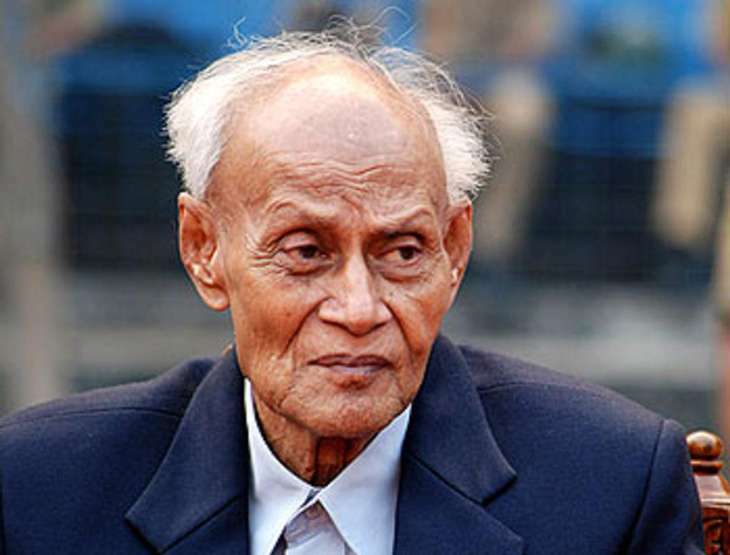 He was the captain of India during the 1951 Asian Games (India won Gold), 1952 Olympics and a member of the team during the 1948 Olympics and 1954 Asian Games. In 1953, England Football Association rated him among the 10 best captains in the world in its yearbook. He is the only Asian player to be named in the list. He was known as captain of the 'barefooted bunch', as Indian players still used to play barefoot at the time. "Princess Margaret had asked me during a reception at Buckingham Palace, `Aren't you afraid of playing barefooted against boots?' We could not say that there was no fund for buying boots. We just grinned and said playing without them was more comfortable," Manna told sportsstar magazine in 2006. Under his captaincy the Indian team also defeated teams like Ajax Amsterdam, Wales and Iran. Born in 1937 at a village near Secunderabad, Andhra Pradesh. He was the key architect of India's gold winning team in the 1962 Asian Games, scoring goals in important matches against Thailand and Japan. 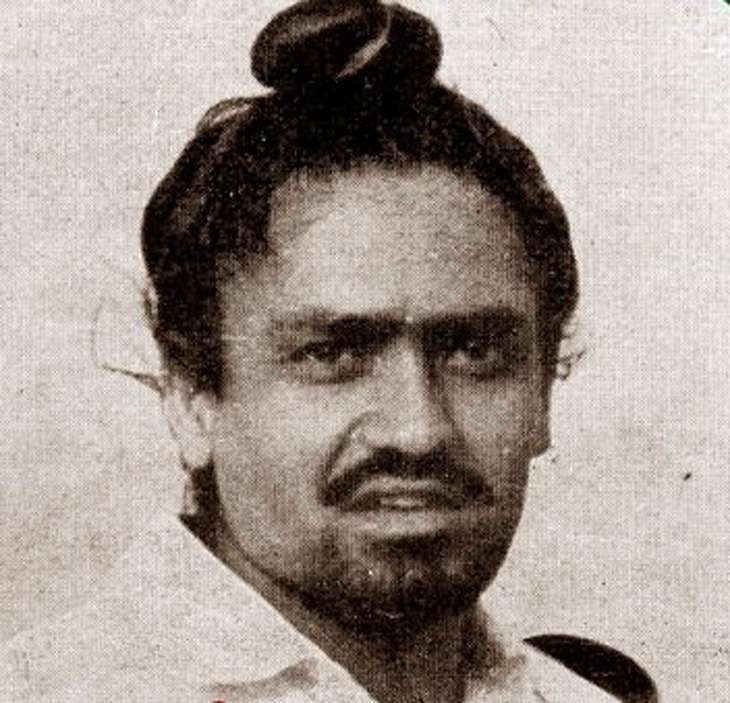 Some memorable performances of Balaram came to the fore in the 1960 Rome Olympics game against Hungary where he scored a goal, and against France (who were then a brilliant outfit, making to the 1958 World Cup semi finals as well) when India drew the match. However, it is said that Balaram's best game was against Hong Kong in the 1958 Asian Games. The match went into extra time with a 2-2 score. During the extra time he showcased his best assisting two goals and scoring once, helping India win 5-2. And yes, he played with a bandage. Unfortunately, in 1989 even after the Padma Shree formalities (such as police verification) were over, he was denied the prestigious award due to internal politics. He remained mentally scarred after that. Born in 1938, led the national side to win Gold at the 1962 Asian Games and won the silver medal in the Asia Cup in 1964. 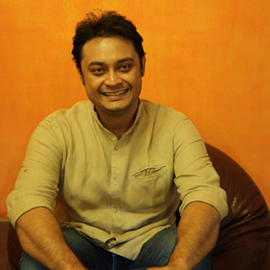 He also played Hockey for his club team and played Ranji Trophy ( where he also captained) for Bengal too. Received an offer to train with English Premier League giants Tottenham Hotspur, the biggest club in London during the early 1960s. He declined the offer, and later said he had no idea of English football back then. Was awarded the Best Striker of Asia in 1962. "If he was born in Europe he would have got much more international recognition. For us, who have seen him play, he was nothing less than the likes of Eusobio or George Best" - a standard statement of many who watched him play in the 60s. Born in 1936 at Hoshiarpur, Punjab and passed away in the year 2000 in Canada. Nicknamed Jaguar Singh by the crowd in football-crazy Kolkata. Captain of India from 1965-67, and only Indian who captained the Asian All Star team in 1966. Though he was a stopper back, he scored the goal in the final match at Jakarta Asian Games in 1962 helping India clinch Gold. The goal came from a header, and he had played the match with six stitches on his head. He was known more for his courage, toughness and ferocity on the field, which can be traced back to his formative years during the partition when he faced a lot of ordeals - like travelling without food and water in a train full of blood stained dead bodies. Born in 1936 in Jalpaiguri, West Bengal. Made 84 appearances for India and scored 65 goals. Named Indian footballer of the 20th century by FIFA. He was also awarded FIFA Order of Merit in 2004, the highest honour awarded by the body. Some others who have won the award are Franz Beckenbauer, Pele, Bobby Charlton, Zico, Gerd Muller, Paolo Maldini and Johan Cryuff. Frequent injuries cut his playing career short and eventually he became a celebrated coach with huge success at the international as well as the domestic level. As coach, he was known for 'vocal tonic', where he used to subtly invoke nationalism, love for motherland etc. In fact, there was a saying - 'where PK goes, trophies go'. The present generation of Indian football fans only knows the likes of Bhaichung Bhutia and Sunil Chhetri. But legends are those who are remembered way after they stop playing. In the case of the above names, some four decades later.